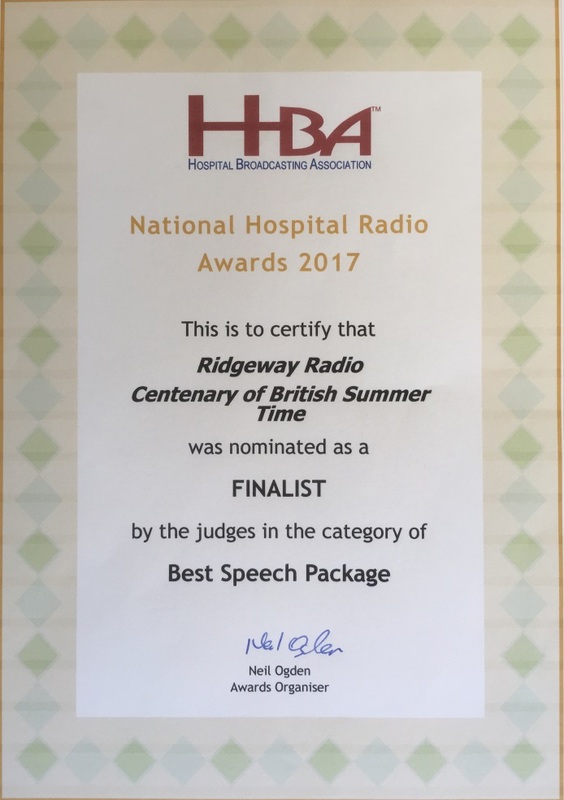 We are pleased to announce that Ridgeway Radio has been nominated as a finalist in the Best Speech Package category of the National Hospital Radio Awards for 2017. The entry features an item from the 12th October 2016 edition of Ridgeway Magazine presented by John Shepherd which is broadcast weekly on a Wednesday at 11am. There are more details of the 2017 HBA Awards winners here.